Sometimes the animals in the park are so cute you have to stop and watch, like the two women above watching the antics of the squirrels on the tree yesterday. Sometimes the animals remind us of their harsh reality; some are not so lucky and become food for the swifter. Hawks nest in some of the taller buildings in the city. I have on occasion seen one or two flying above, but never one on the ground. This one didn't stay long with his catch; he was attracting too much attention and took his food to go. I see you guys have had a decent dump of snow again. I would enjoy watching the squirrels dart around, and the hawk fly or perch. 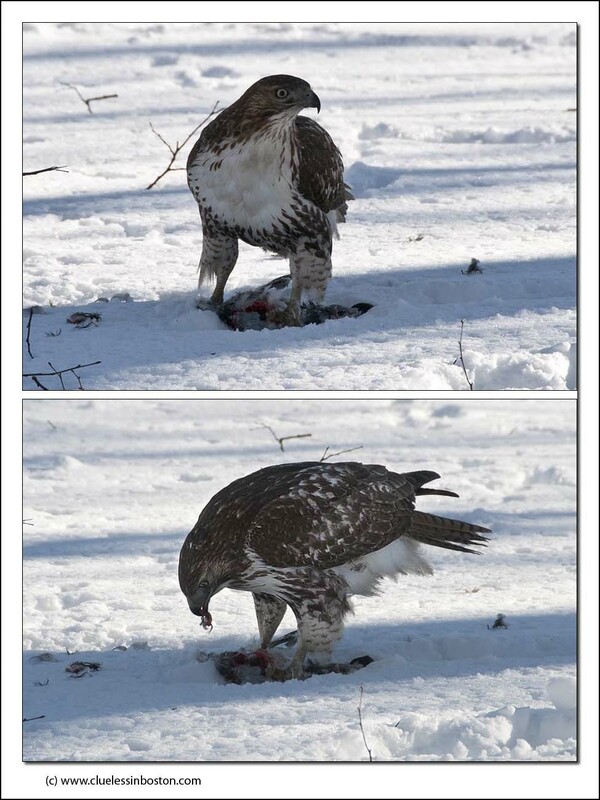 I would not enjoy watching hte hawk eat, no matter how necessary. That hawk is a beautiful bird. I have seen them grab a squirrel in my backyard before and it's always a little scary to watch. Great snow adventures for the animal kingdom. Amazing photo of the hawk. Our personal pets are a bit confused, sliding on ice and all! Yea hawks! Doing there part to rid the overflowing pigeon population in cities! 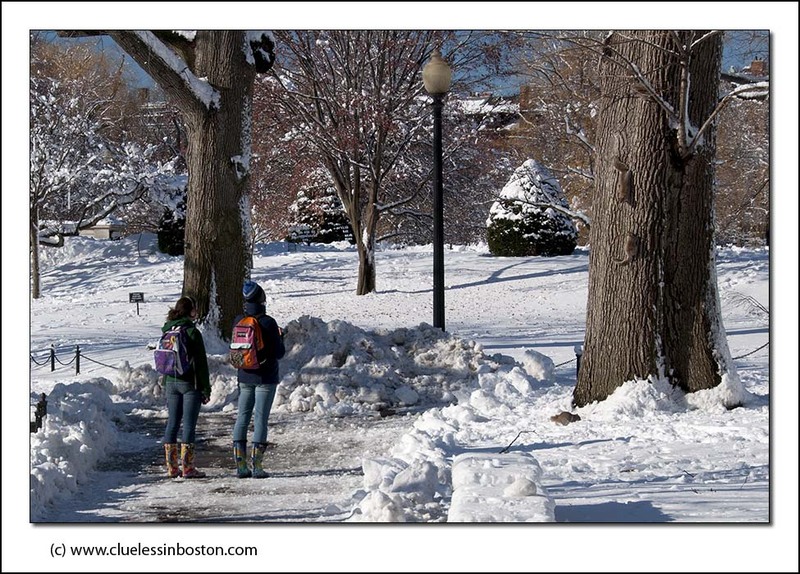 It's impressive and good to see wild life in such a big city as Boston! Tough times for wildlife with all that snow. But it makes it very pretty.